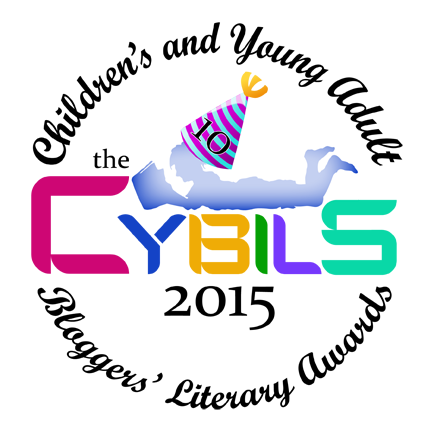 I'm so very proud to be part of the Cybils awards again this year. This was my third year as a book apps judge and it was another enjoyable year. I love getting to see such a large range of book apps and to be able to discuss the merits of each with my fellow judges. Being part of a committee always made me nervous but I absolutely love this experience. Here are the Cybils 2015 book apps finalists! Spot takes readers to whole new worlds – worlds within worlds, in fact! Zoom in or zoom out to take yourself through David Wiesner’s imagination. His brilliant artwork is both enigmatic and intriguing. Readers of all ages will find themselves enjoying the creativity involved in this app while curious to figure out how the stories connect across worlds…if they do. Aliens and cats and robots on parade will keep readers engaged for hours on end. This is the epitome of a wordless picture book brought to life as a book app! Explore the layers of the earth in the nonfiction book app, Earth Primer. Dramatic music, sound effects, stunning photographs, bold illustrations and maps create an exciting nonfiction experience for readers. Navigation is seamless; the main menu offers readers five different chapters. Children will find the app’s interactive elements engaging as they pinch, pull and swipe to move the earth’s plates together, sculpt the earth with wind and create volcanoes as fire crackles and lava oozes. The clearly written expository text provides readers with information about plate tectonics, rifts, magma, glaciers, volcanoes and more. After reading all five chapters, a Sandbox is unlocked and users can shape the earth using a 3D interactive model. Earth Primer is an exciting, informational app that will teach students about geology as they play, explore, experiment and engage with the text and graphics. Classic names are supposedly making a comeback but Hilda remains an anachronism much like the setting in Hilda Bewildered, the book app written and illustrated by Lynley Stace. There’s a princess and palace, but this dark and dreamy coming of age story isn’t your average fairy tale. It’s loaded with symbolism and topical themes like life under the magnifying glass of paparazzi, class divisions, seeking parental approval and the power of advertising to distort reality. Any teen who keeps up with Kylie Jenner can relate to the pressure Hilda feels as she prepares to give a speech to open a winter festival. The narrative is complex with parts of it taking place in Hilda’s imagination and some gleaned only through careful examination of the detailed illustrations and interactive features. Author’s notes help readers understand the many layers running throughout the story. Few if any books apps have the emotional depth and intellectual intrigue of this work. On occasion, Oscars are given based on the overall strength of an actor or director’s entire body of work rather than solely on the merits of the nominated film. Slap Happy Larry’s Hilda Bewildered, the followup to The Artifacts and Midnight Feast, would deservingly fall into such a category. Metamorphabet is a quirky, fun alphabet book app where letters come to life on the screen. 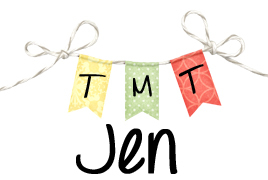 Readers first get to see the letter and hear the narrator say the name of the letter but then they tap and tug on the letters so they morph into a visual representation of words that start with that particular letter. Antlers sprout from the letter A as it ambles along. The letter I becomes an iceberg with an igloo sitting atop it where people play inside. Young readers will squeal as they watch the letters transform and find themselves transfixed by this app as they interact with the what the letters become while learning about letter sounds and developing their vocabulary. Mental Floss calls this app, “a whimsical, interactive textbook to the stars.” And I couldn’t agree more. Professor Astro Cat’s Solar System weaves fun facts together with content-rich games to deliver an engaging educational punch. It makes play and learning one, just as its developer, Minilab Ltd., intended. But it doesn’t stop there. The app is gorgeously illustrated, a real pleasure to look at. It’s beautifully designed too. Everything works exactly as it should with nice sound effects and visual animations accompanying user actions. The interactivity works to extend the content, not distract from it. There is nothing missing or out of place in this app. Though non-linear, Professor Astro Cat’s Solar System is very intuitive. It’s highly responsive with multiple layers and activities to unlock, which makes the app appealing to a fairly wide age-range. The non-fiction content is clearly written and delivered in just the right doses. I had a great time playing with this app. It hooked me to the end. What’s more, I learned a lot. Your kid will too. Without even knowing it. Set in snowy woods with a cozy red house as home base, Wuwu and Co adds charm and inventiveness to a scenario common to many children’s apps: there are several creatures in need of help, and you are the helper. Each creature has its own mini-story, written in a quirky literary style reminiscent of Roald Dahl. The app makes clever use of a tablet’s camera and microphone, but REALLY shines in creating a truly immersive environment. For each task, you must hold up your tablet with the camera facing out, and turn in a slow circle to observe the landscape. As you “walk towards” something, you hear the sound of footsteps crunching the snow. It feels as if your tablet is more of a window than a screen. Wuwu and Co opens up new possibilities for children’s book apps. If reading themselves, this innovative app is best for children in 3rd-6th grade, though younger children could experience its magic with an older guide. If you aren't familiar with any of these apps or many books apps in general, I definitely suggest looking at our finalists to start. They are all exemplary examples of book apps. You can also look at our lists from 2013 and 2014. I love all the apps on those lists as well! They are all memorable to me and definitely unique book apps that stand out against the rest. If you have any favorites you would like to share, I would love to hear about them!